TB in Uzbekistan: "The regimen is long and arduous"
Interview with Tetyana Pylypenko, Médecins Sans Frontières (MSF) Medical Team Leader. Tetyana Pylypenko is from Ukraine and has been working with MSF for over 10 years in her home country and abroad. She comes from a nursing background, and in 2014 held the position of Medical Team Leader in Nukus, Karakalpakstan region, Uzbekistan. Below she explains more about her work with tuberculosis (TB) patients. When did MSF begin working in Nukus? 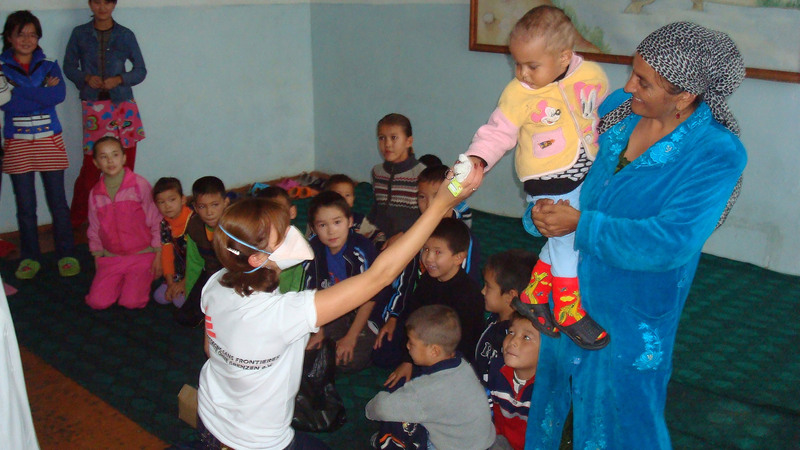 MSF has been working with TB patients in Karakalpakstan since 1998. Together with the Ministry of Health, MSF implemented a programme diagnosing and treating drug-sensitive TB, and over the years the project has evolved to include children and patients with drug-resistant (DR-TB) forms of the disease. Today, all TB sufferers in Karakalpakstan have access to TB diagnosis and treatment. There are currently around 2,000 people under treatment for the disease; all TB drugs are given to the patients for free if they are officially registered with a TB programme. What are the challenges of working in Nukus? There are many challenges, but the main one is that patients do not always complete their treatment. This is especially true for those with DR-TB – the regimen is long and arduous and around 25% stop treatment before it is complete. MSF has been making a big effort to improve patient adherence, and has provided a team of counsellors to offer health education and psychosocial support, and has started offering incentives such as food parcels. Unfortunately, however, the number of “lost to follow up” patients who stopped treatment has not decreased. The only way to truly improve adherence is to shorten the length of treatment, decrease the number of drugs involved and ensure that the medication can be taken orally without injections in the regimen. In 2013, MSF and the Ministry of Health started a study with a short course regimen of nine months instead of two years. 146 patients were recruited and so far preliminary results have been positive. The final results will be presented in 2016. What have been some of the recent achievements of the TB programme? One of the big changes over the last few years is that patients no longer have to stay in hospital for three months to receive treatment and can be treated as out-patients at home with their families. Methods of testing have also evolved, and with the Gene Xpert machine, which tests for the presence of TB in sputum, results are available in several hours instead of several days or weeks. This means that effective treatment can start as early as possible. In June 2015, MSF introduced a new drug called Bedaquiline to treat patients with extremely drug-resistant TB. This should increase their chances of survival. 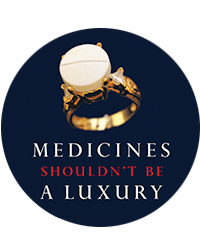 MSF is the first organization to bring Bedaquiline into the country. What are MSF’s ambitions for tackling TB in the region? The main aim of the project is to implement shorter treatment plans involving fewer drugs and side effects, with better outcomes for patients with DR-TB. However, children are often neglected in TB programmes and MSF is also involved in improving their diagnosis and treatment. Drug compounding (combining drugs to create a formulation particular to children’s needs - and easier to take orally) is planned to start in the next couple of months. What was the most rewarding aspect of your mission? Over the four years I worked in the TB programme, I saw it evolve. Thanks to hard work and to MSF and the Ministry of Health working together, change happened. I remember a time when people were moving to areas of Karakalpakstan where MSF was working in order to obtain TB treatment, but they couldn’t stay away from their families for long and many did not finish their treatment. Others were dying because they had no treatment options. Now, all TB sufferers have access to treatment where they live. The project has a strong and experienced team of national staff, who are very motivated. I was happy to be part of a very professional team helping people in need. I cannot express in words how much satisfaction I got from my job and from working with other MSF staff, Ministry of Health staff and patients. What advice would you give to people suffering from TB? If you are suffering from TB, receiving treatment may not only save your life but will also prevent you passing the disease on to your friends and loved ones. Remember, TB drugs are available and TB is curable. If you have drug-sensitive TB, the treatment takes six months and side effects are rare. The treatment for drug-resistant TB is longer (around two years) and results in more side effects, but these are manageable. I know that the treatment is difficult and that it can be hard to stick to it, but the end result is worth it. If you think you might have symptoms of TB, visit a doctor as soon as possible. And please, never give up. You too can beat TB.